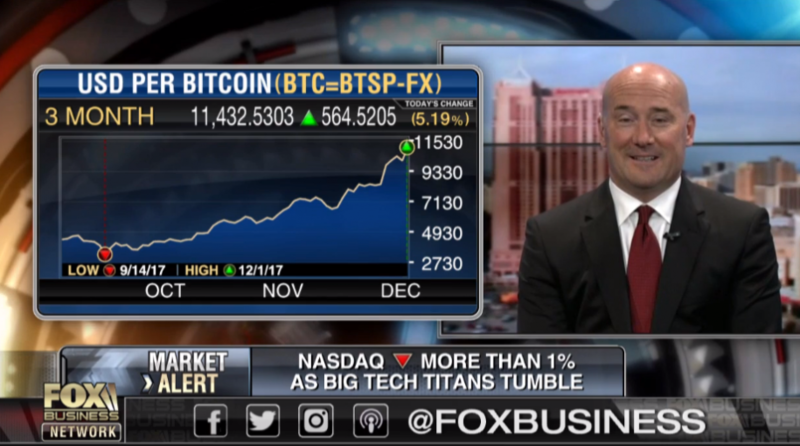 ETF Trends publisher Tom Lydon appeared on Fox Business Network’s “Closing Bell With Liz Claman’ on Monday to discuss the soaring price of Bitcoin as the Dow closed at a new record of 24,2940.05. On Monday afternoon, one bitcoin was trading at $11,545 – down slightly from its new all-time high of $11,799 overnight. For ETF investors looking for some bitcoin exposure now, Lydon pointed to the ARK Innovation Fund ETF (NYSEArca: ARKK), which include Grayscale’s Bitcoin Investment Trust (OTCQX: GBTC) as its largest holding.